Our Mechanical Engineering graduates can look forward to excellent future prospects – and taking this degree with a foundation year will put your plans on a firm footing. Our Mechanical Engineering graduates can look forward to excellent future prospects – and taking this degree with a foundation year will put your plans on a firm footing. We offer high-quality teaching and plenty of practical experience, plus an ideal location in the high-tech city of Derby. Enhance your employability – we are ranked 15th highest among all UK universities and 12th for English institutions, with 96% of graduates in work or further study within six months of completing their degree (HESA 2016). This dynamic degree will equip you with all the skills and knowledge which are essential to the modern mechanical engineer. Taking a foundation year first is an ideal choice if you have the potential and ambition to study this BEng programme but lack the formal entry requirements or feel you are not quite ready to embark on a full honours degree right now. It is also a smart move if you have changed your mind about your career direction since you chose your A-levels or BTECs and need to improve your skills in a different subject area. The foundation year will cover general concepts in areas such as engineering science, structural analysis and dynamics, together with essential scholarship skills for technologists to aid your progress on the honours degree. 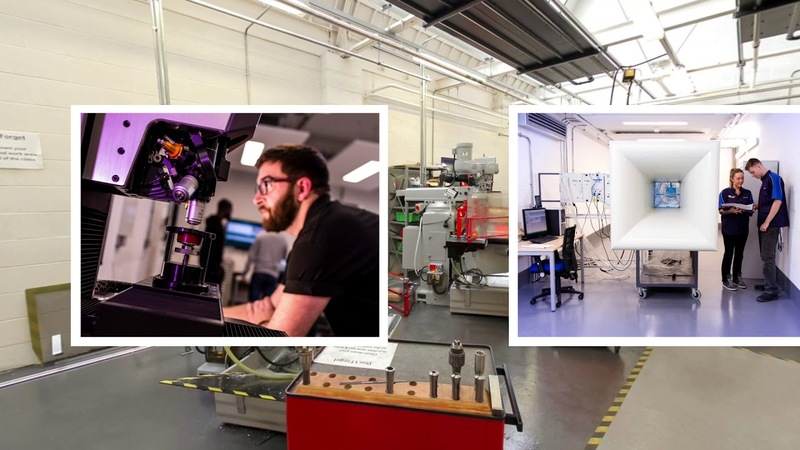 From computer aided design to structural analysis, vibration and dynamics to thermofluids, the BEng (Hons) Mechanical Engineering covers a broad spectrum of themes to put your career plans on a firm footing. The course features a wide range of specialist modules such as Computational Fluid Dynamics, Advanced Material Design and Analysis, and Advanced Thermodynamics. It also enables you to undertake an individual project which entails real experience of solving an engineering problem in industry. Prospective employers often regard this project as an excellent way to assess the skills of potential future employees. By choosing to spend a year on an optional industry placement, you can give yourself a real career advantage. You will find there is a significant number of SMEs, large, national and international companies looking for placement students each year. We offer a full range of support to students who are keen to enhance their employability through internships and placements while studying. For more information, please get in touch with our Careers and Employment Service. Derby is a city of technology, with world-famous companies including Rolls-Royce, Bombardier and Toyota right on the University’s doorstep. It has one of the most highly skilled workforces in the UK, with 12% of employees in hi-tech roles – that is four times the national average. It also has the highest average salary outside of London and the South East. This all means that, as a BEng (Hons) Mechanical Engineering graduate, you will be ideally placed to make the most of the many career opportunities in the city. We offer inspiring opportunities for you to take part in high-profile events. The Shell Eco-marathon project, for example, is fast becoming a flagship competition for our Mechanical Engineering team. We encourage you to join in and experience building and racing a real vehicle based on student design and analysis. Such is our profile in this arena that our Shell Eco Team was awarded a £9,000 sponsorship to build a prototype ethanol vehicle for the competition. Another highlight is the British Model Flying Association Payload Challenge, which is supported by BAE Systems and the Royal Aeronautical Society. The aim is to design, build, test and compete a radio-controlled aircraft against other national and international teams. You will be assessed using a mixture of coursework assessment, examinations and professional presentations. This course prepares you for careers at the cutting edge of mechanical engineering design, motorsport or automotive design and the applications of advanced materials. You could also take your studies to postgraduate level with our MSc Mechanical and Manufacturing Engineering.